Wednesday’s news sets up a reset in the Canadian loyalty and co-brand space—with the potential to ease market consternation about the fate of Aeroplan and the intentions of Air Canada, the news brings clarity and confidence to what would otherwise have been a period of continued uncertainty leading up to June 2020. Anxious Aeroplan Members will be questioning if the value of their accumulated Aeroplan points would be significantly diminished, or worse, be lost altogether. Meanwhile, key stakeholders including current Aeroplan co-brand partners as well as Aimia investors have been worried that Aeroplan Members would defect from Aeroplan, given many/most are Air Canada frequent flyers, diminishing the value of the Program and its value to partners. Under the proposed deal, as it reads to us, Aeroplan Members would be seamlessly migrated over into Air Canada’s new Program by June 2020. The news makes no mention of any change in Air Canada’s stated intentions to launch a new Program in June 2020—and as such, Aeroplan Members would preserve their Membership and points balances, under a new and differentiated program banner. So, what does the news mean to stakeholders? From the perspective of Aeroplan Members—if the proposed bid is accepted by Aimia, confidence among Aeroplan Members would be restored; Members would know that their accumulated Aeroplan points will retain their value between now and June 2020, and travel redemption opportunities with Air Canada will be preserved. Aeroplan’s recent announcements about a future with Aeroplan charter flights, multiple airline and other partnerships, was a step in the right direction but left many questions unanswered. This deal gives all a path forward. For CIBC Aeroplan and TD Aeroplan cardholders, it is also good news. These cardholders will be able to continue earning with confidence on their existing payment cards, which presumably will also be brought under the new Program banner and will continue to benefit from features offered through Visa (e.g. Visa Infinite). From CIBC’s and TD’s perspective, these banks have invested significantly in their relationship with Aeroplan over the years. Their participation in the 4-partner bid to purchase Aeroplan signals Air Canada’s intentions for its co-brand partner(s)—that is, if this bid for Aeroplan is accepted, we assume Air Canada would likely adopt Aeroplan’s existing co-brand issuers as partners. This, however, may not prevent Air Canada from working with other FI partners. Travel focused credit card issuers should continue to differentiate and standout in this time of change and opportunity. As an example, we recently saw RBC and WestJet announce new initiatives under Ampli. Although the proposed Aeroplan deal brings stability and continuity to the travel focused loyalty landscape, brands must continue to arm themselves for a very competitive number of years ahead. Retailers will also be watching this news closely with an effort to understand how it will impact changes to partnership and co-brand opportunities in the space as well as general consumer expectations surrounding loyalty and payments. 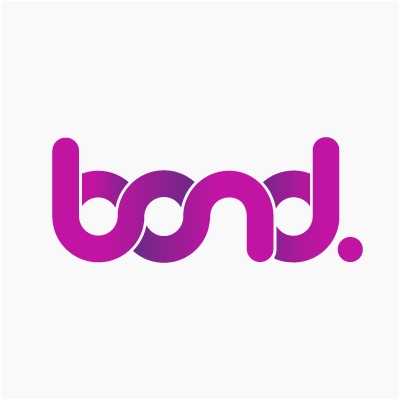 Bond continues to assert, through our consumer insight tools, that the most important features of retail loyalty programs and partnerships surround utility, value, enjoyment and brand alignment. All four categories require continued innovation to maintain relevance. In 2018 Aeroplan (separate from the co-branded credit cards) was ranked 57 among 59 non-payment programs measured in our studies due to short-comings in these categories. With a prompt response from Aeroplan requested and an offer that expires on August 2, we'll be watching the events very closely between now and then. View Bond's latest media interview and comments here.